Instead of doing our usual boring Saturday errands, on a whim, we picked up some breakfast tacos and headed out of town. Direction? West — Liberty Hill, Bertram, Burnet, and Marble Falls. On the way home, we stopped at Jack Allen’s Kitchen for a late lunch. Pretty awesome day! 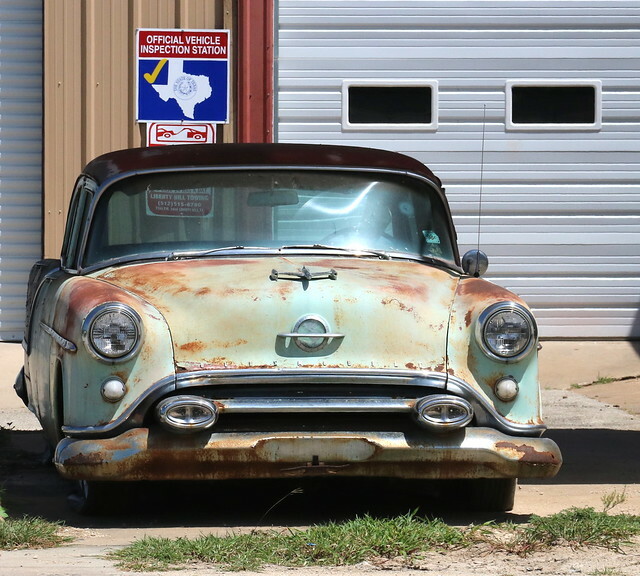 We found this wonderful classic Oldsmobile in Liberty Hill, Texas. The last time it was inspected was in 1998. Good thing it’s at the inspection station.